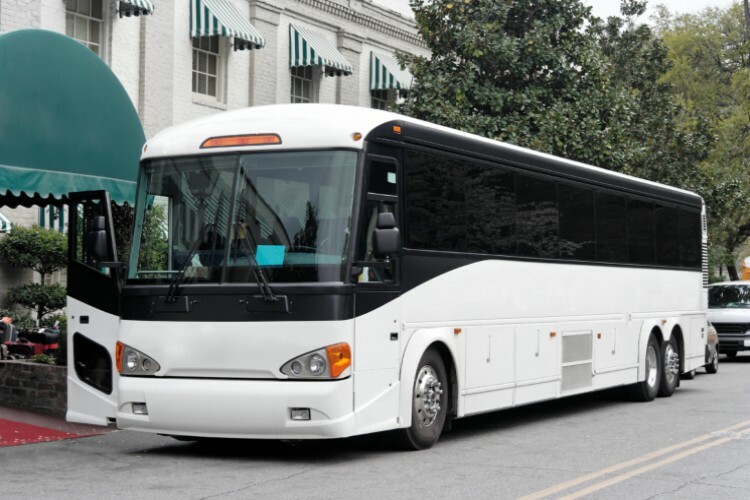 Charlotte Charter Bus Company has worked with every kind of company, from startups to Fortune 500s, to arrange the most professional, reliable group transportation for their next corporate event, trade show, off-site meeting, and more. We understand just how important it is to stay on schedule for corporate events. When you partner with Charlotte Charter Bus Company, you’ll be matched with a licensed bus driver who will arrive 15 minutes before your departure time to ensure you’re on time to your event at a venue like the Charlotte Convention Center. Wow clients and treat employees with upscale amenities like WiFi, power outlets, DVD players, restrooms, and more. Passengers can sit back and relax, or continue to answer emails, conduct meetings, or meet any deadlines while on the road. Pick up out-of-town clients from Charlotte Douglas International Airport with a personal charter bus or minibus. After a long flight, clients will love the opportunity to sit back and relax as they are shuttled to their hotel, a local restaurant, or to their next meeting. For your next team bonding event, allow employees to bond and socialize while their personal driver transports them to their destination. Or shuttle attendees to and from your event venue to ensure everyone stays together and on time. It can be difficult when big groups have to get split up between public transportation, rideshare apps, or different cars. When you work with a charter bus rental company like Charlotte Charter Bus Company, we make the process easy, simple, and organized. Keep groups together and on time, and we’ll handle the rest. Our team is on standby 24/7 to help you plan your trip. Find out just how easy it is when you call 704-302-1258.